If you've ever landed on a curly hair article or forum then you will have quickly realized that this community speaks its own language, some of which was started here in our CurlTalk forum. If you're new to caring for your curls then the terms can feel overwhelming, so we created this comprehensive curly hair glossary as a tool you can use to look up commonly used ingredients, techniques, and abbreviations. Hair that looks good enough to wear the day after wash day. It may only require misting with water or a little product to revive and refresh the style. Find out how these women achieve 2nd day hair. Wash n' Go styling technique that produces well-formed, highly-defined coils/curls. While soaking wet, a styling curl cream or curl gel is applied to cleansed and conditioned hair. As the head is tilted in various angles, the hair (now weighted with water and styling product), is lowered into an open palm and gently pressed to the scalp repeatedly. The mucilaginous material obtained from the aloe vera plant. The benefits of the gel to your hair include improved detangling, increased moisture, scalp healing, remediation of dandruff, restoration of pH levels, decreased frizz, enhanced cellular regeneration, anti-inflammatory action for the scalp and stimulation of hair growth. When apple cider vinegar is diluted with water it can be used to restore the pH balance of the hair. Apple cider vinegar can work to close the hair's cuticle, make it smooth with less frizz, and give you increased shine. For your ACV rinse, mix 1/4 cup of apple cider vinegar and 2 cups of water. Armpit length is a common term used to describe hair that reaches the armpit from the back when stretched for a lengthcheck. This regimen uses all natural Indian products to grow healthy, thick, long hair. Some of the products include but are not limited to the following: amla oil or powder, henna, neem, Vatika, brahmi, shikakai, and marshmallow root. 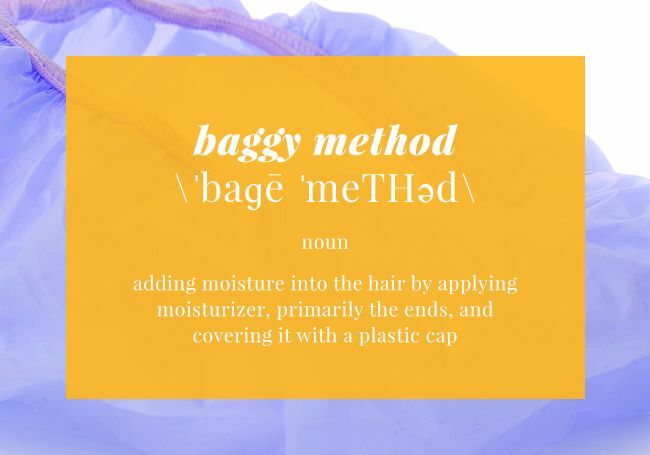 The baggy method includes applying moisturizer and then covering your hair with a plastic bag to trap the body heat for expedited product absorption into the hair’s cuticle. 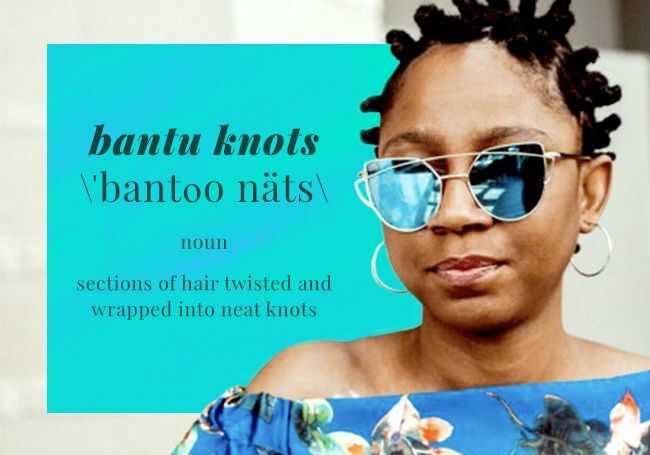 Get the Softest Natural Hair, with a Ziploc? Banding is a styling technique used to inhibit hair shrinkage and show more of the hair's actual length. Gathering the hair into one ponytail or several smaller ones, covered elastic bands are affixed snugly from the scalp area, one after the other, all the way down to the ends, of the hair. Bands are left in for a period of time or until the hair is dry (if banded while damp or wet). A hairstyle created by carefully and precisely parting hair in small-to-medium sections, and then twisting the sections in one direction until they wrap into neat knots. This is when you decide to go natural and cut off all your relaxed hair. To big chop includes cutting the relaxed and significantly heat-damaged portions of the hair. When Is the RIGHT Time to Big Chop? A blowout means styling your hair straight with a round brush as you blow it dry. Bra strap length is when the ends of your hair can reach the back of your bra strap upon extension. Breakage is when the hair breaks due to manipulation and/or excessive dryness. Not to be confused with shedding, the evidence of breakage is when the end of the hair strand does not contain a bulb the way a naturally shed hair would. Breakage can be reduced by limiting manipulation with heat tools, styling, washing, chemical processing, and increasing your moisturizing frequency. Butter is a solid form of oil that are primarily used to seal the moisture in the hair after applying a moisturizer. Some butters that curlies use for their hair include shea butter, mango butter, cupuacu butter, cocoa butter, and avocado butter. Castor oil has antibacterial and antifungal properties of ricinoleic acid, which can help prevent scalp infections that can cause hair loss. It is humectant that contains fatty acids to nourish the hair and prevent dry scalp. 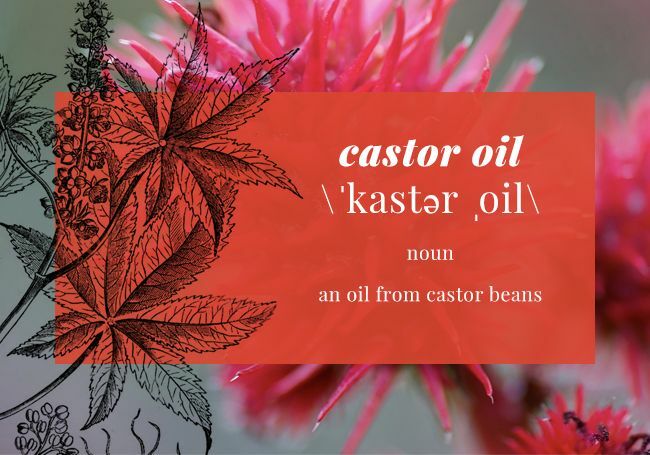 The best time to use castor oil is in the winter season or colder weather, because it is the thickest of the oils. Cleansing conditioners are also known as co-wash conditioners. These products are formulated to lightly cleanse and moisturize the hair in between clarifying. They are moisturizing like conditioners, but contain surfactants that remove dirt and oil from the hair. 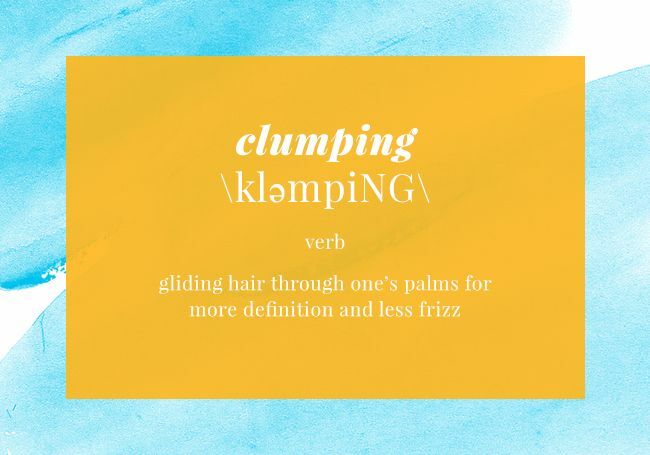 Clumping happens when the strands of hair gather to form bigger, chunkier curls. 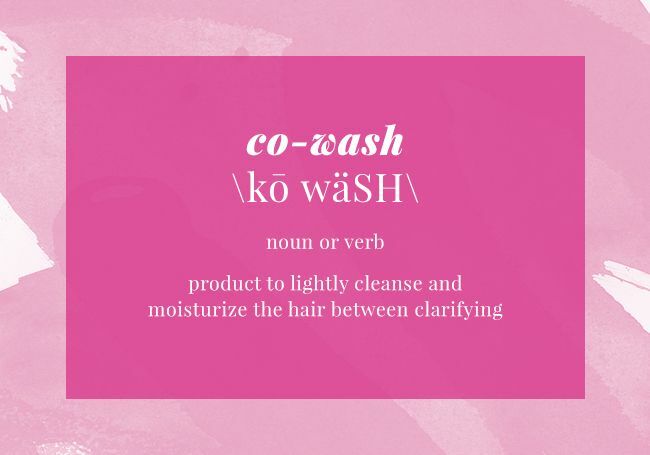 To co-wash is to use a conditioner to lightly cleanse and moisturize the hair in between clarifying. 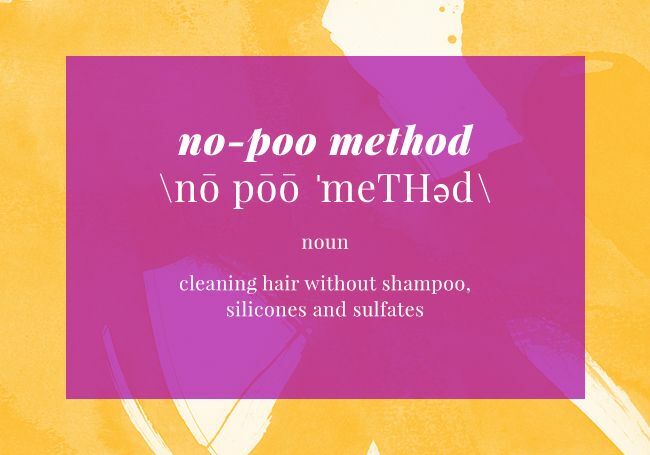 The term is short for "conditioner wash." Co-washes are used by curly-haired women who choose not to use shampoo as part of the Curly Girl Method or the No Poo Method. Co-Washing: Is Your Conditioner Good Enough? 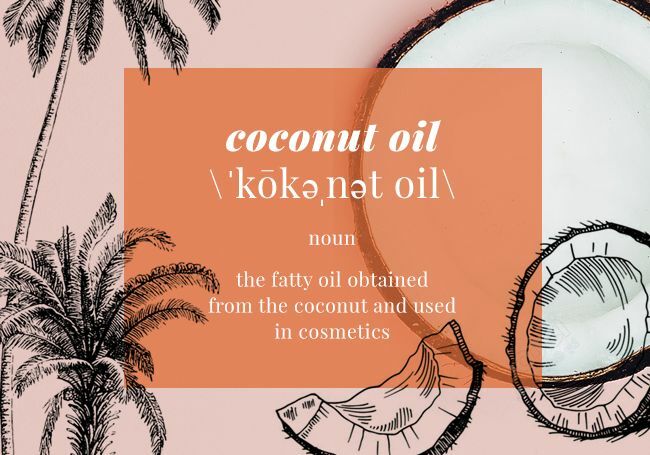 An ingredient derived from coconuts with a molecular structure that make it easier to penetrate the hair shaft. It has antifungal and antibacterial properties and is rich in vitamins and minerals. The crown is the center region of the scalp atop of the head. It tends to be sensitive, especially for those who are tender headed. Crunch is the hard, crunchy feeling left by some gels when they dry, which can sometimes be scrunched out. The Curly Girl Method, created by curly hair expert Lorraine Massey, includes discontinuing the use of shampoo, products with silicones, brushes, combs, and towels. Deep conditioners are thick products formulated with ingredients that penetrate the hair shaft, nourish between the cuticles, within the cuticle layers, and/or within the cortex. They generally require longer treatment time of anywhere between 10-30 minutes based on the instructions. 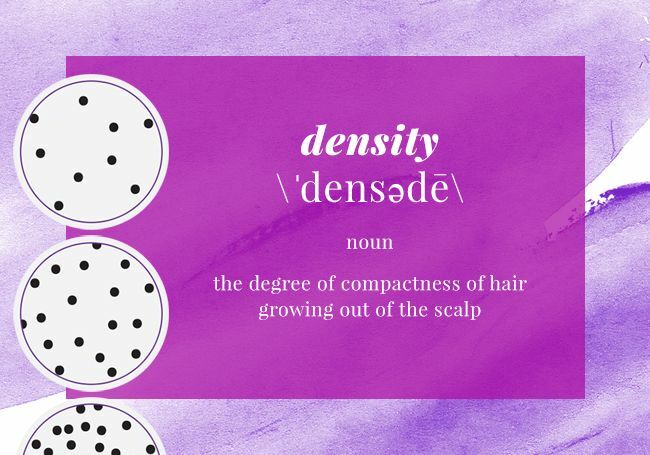 Density is how closely individual strands of hair are packed together on your scalp and ranges from low to high. 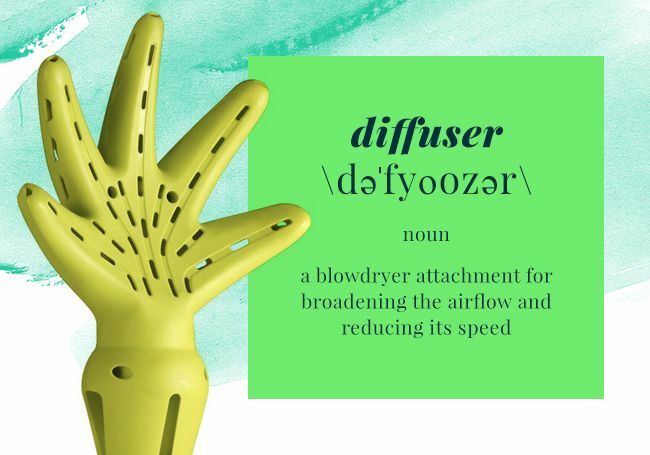 A diffuser is a blow-dryer attachment used to disperse airflow over a larger area so as not to disturb the hair's curl pattern. Dusting is slight trimming of the hair done in between full trims. The process of loosening the curl pattern with products or styling techniques. Emollients are usually hydrophobic oils that form films on the surface of the hair, where they often act as anti-humectants or sealers. They are lubricants that make detangling easier by providing increased slip (decreased drag) between adjacent hair strands. Question of the Day: What Is An Emollient? 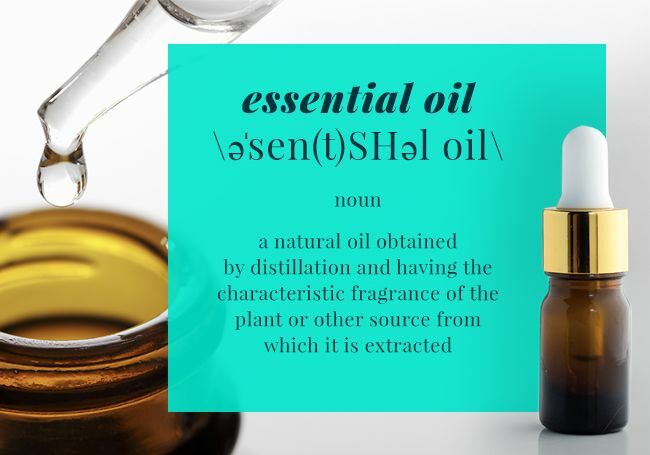 Essential oils are potent liquids derived from flowers and plants. They are known for their healing properties and aromatic scents that have therapeutic benefits for the hair and scalp. Some essential oils for hair are tea tree, rosemary, lavender, chamomile, myrrh, basil, sage, and peppermint oil. These oils tend to be extremely potent so it is encouraged to dilute them with carrier oils. Extra virgin olive oil is extracted through cold pressing, and is one of the four oils that penetrates the hair shaft. 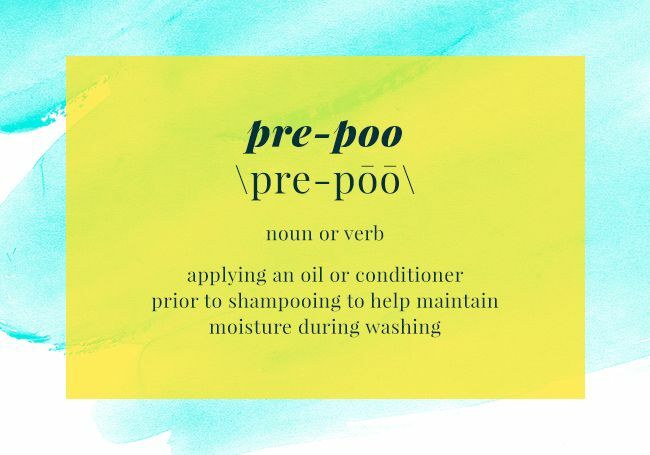 Many curlies use this to pre-poo, deep conditioner, oil rinse, and seal. Fatty alcohols are derived from natural sources and often used as an emollient in skin and hair care products. They give a smooth, soft feeling to the hair shaft by helping the cuticle to lie flat on the surface of the hair. Some fatty alcohols include lauryl alcohol, cetyl alcohol, myristyl alcohol, stearyl alcohol, cetearyl alcohol and behenyl alcohol. Fine hair has a very small diameter and is very delicate and easy to damage. The use of fingers or a pick to add volume and shape to curly and coily hair. Glycerin is a water-soluble conditioning alcohol that is an extremely effective moisturizer and humectant. Hair typing is a system that classifies hair texture based on curl pattern, density, width, and porosity, which helps to determine how she will care and style her hair. Loose-wavy hair is type 2, curly hair is type 3 and coily hair is type 4. NaturallyCurly created the sub classifications from a-c, based upon the diameter of the wave, curl or coil. 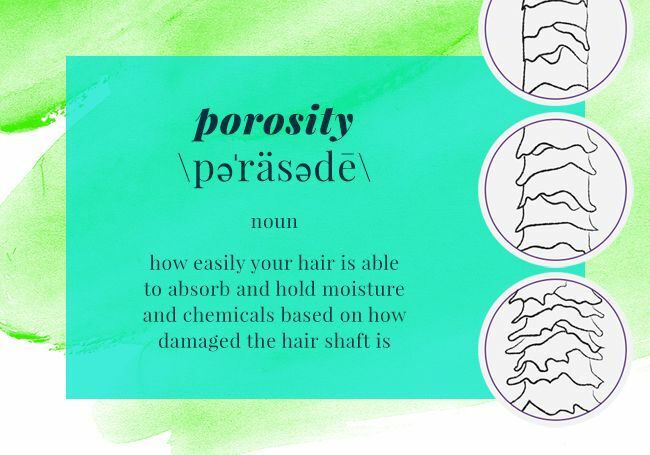 Take the quiz to learn more about your hair type. Henna is an herbaceous shrub used to condition and safely color the hair. It is commonly used in India for cultural customs and for conditioning the hair. It is important to purchase pure henna that does not contain metallics and chemicals like PPD, which can cause adverse reactions to the hair and skin. Holy Grail is a title given to the tried-and-true products that can be relied on to deliver consistently amazing results. 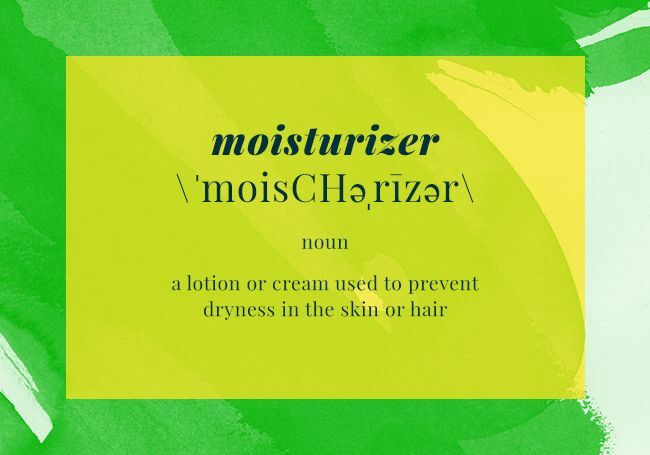 This is an ingredient used in moisturizing products to draw moisture from the air to retain it for your hair. 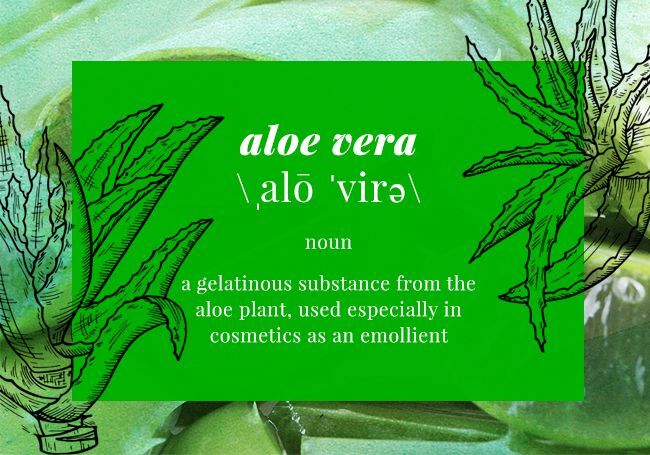 Some of the most commonly used humectants are honey, aloe vera, and glycerin. 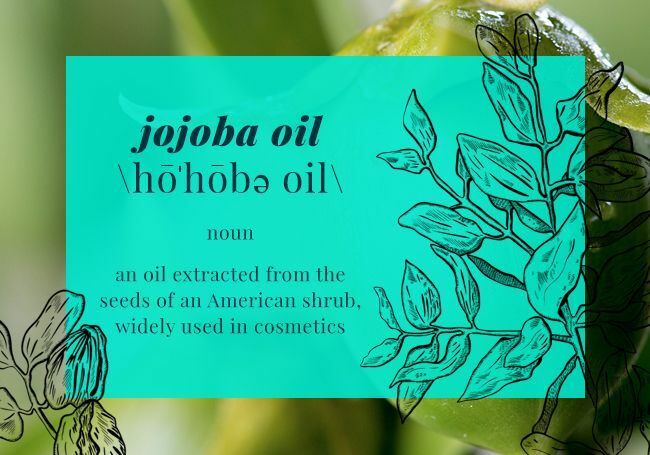 Jojoba oil is a non-greasy, moisturizing hair oil that is the most similar to the sebum produced by the sebaceous glands in your scalp. A leave-in conditioner is a lightweight, watery product that is formulated to add moisturizing properties to the hair without the buildup of a regular conditioner. It derives its name from the fact that this conditioner is not rinsed out. A hairstyle whereby small sections of hair are twisted and over time, the strands become permanently secured. 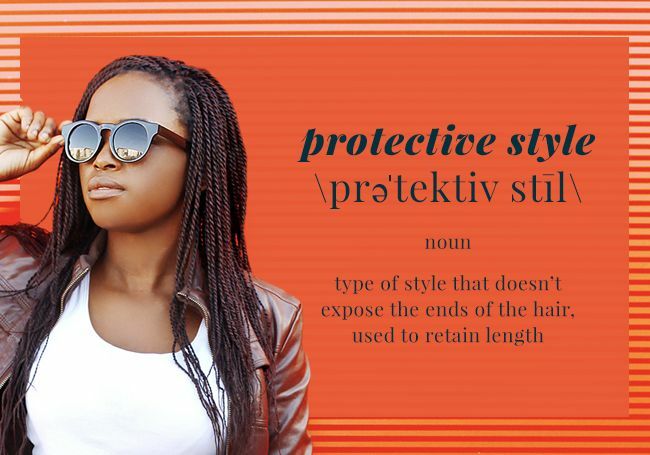 This is one type of protective style. 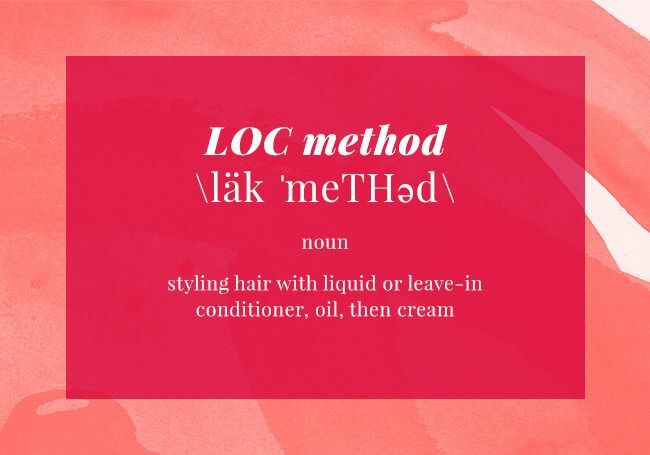 The LOC method stands for applying product in the following order: liquid or leave-in conditioner, oil, and cream. Most naturals will either use water or a moisturizer, an oil, and a cream or butter. This ensures long-lasting, moisturized hair in between wash days. 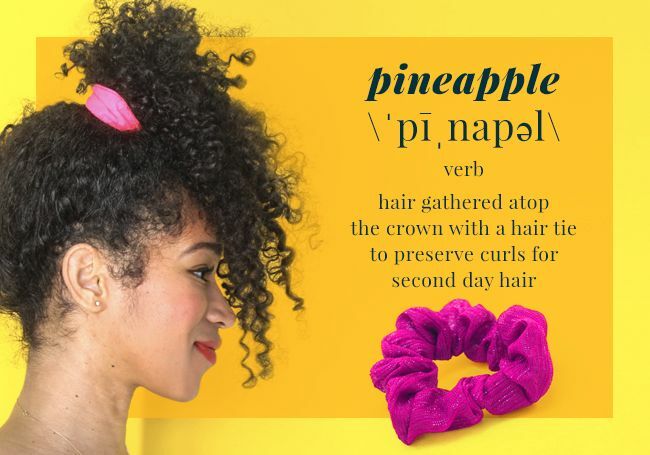 The technique was introduced by Founder of Alikay Naturals Rochelle Graham. Hair with medium width consists of strands that are strong and elastic, and neither too thin nor too thick. A moisturizer product that includes humectants, which are extremely hydrophilic molecules that use hydrogen bonding to attract and hold water molecules from the environment. Moisturizing ingredients include glycerin, propylene glycol, panthenol, honey, agave, and aloe vera. Why You Need a Moisture Foundation for Your Hair!